SOURCE: SP Proponents of nanotechnology—along with federal regulators—have some serious work to do beyond public education if the field is to break through safely to commercial success. Several years ago, when nanotechnology—the art and science of engineering ridiculously tiny stuff—was just starting to worm its way into public consciousness, I attended a meeting of scientists and government regulators at the National Science Foundation. The scientists were all revved up by nano’s great potential to revolutionize such diverse fields as computing, solar energy, medical diagnostics, and electronics. The NSF, which was funding some of the work, was excited too, but officials were clearly concerned about the possibility of trouble. CAP Senior Fellow Rick Weiss covered science and medicine for The Washington Post for 15 years, and now he brings his investigative eye to science policy. From cloning and stem cells to agricultural biotechnology and nanotechnology, Weiss examines the issues at the intersection of cutting edge research and public policy. As it turns out, the movie did not get made. But two new studies published last week suggest that it may not matter much whether the NSF gets around to educating the public about this new technology, at least not in the conventional sense of education. Despite the common conception that a better-educated public is more likely to appreciate and support scientific and technological advances, the new study found that deeply ingrained psychological and cultural factors drive individuals’ acceptance or rejection of new and potentially frightening technologies—much more so than factual information. For people whose cultural views leave them disinclined to trust new technologies, the act of getting more information—even very balanced information—can harden rather than soften attitudes of opposition. “Our study reinforces the conclusions of other researchers who have cautioned against assuming that enlightened public opinion will spontaneously emerge from accumulating scientific information on the risks and benefits of nanotechnology,” write Dan M. Kahan, of the Yale Law School, and his colleagues in the December 7 online edition of Nature Nanotechnology. Indeed, the team found, for people whose cultural views leave them disinclined to trust new technologies, the act of getting more information—even very balanced information—can harden rather than soften attitudes of opposition. That finding, along with the conclusions from an accompanying study that finds a strong link between religiosity and rejection of nanotechnology, suggest that proponents of the technology—along with federal regulators—have some serious work to do beyond public education if the field is to break through safely to commercial success. A 20-second refresher: Nano has to do with engineered particles, fibers, and devices between 1 and 100 billionths of a meter in diameter—a scale so small that it involves in some cases the manipulation of individual atoms. Ordinary materials behave in extraordinary ways at that size scale, offering materials scientists a new palette of chemical, electrical, and optical properties to work with, but also posing potential threats because of these substances’ ability to get into the body or contaminate the environment. Among those in the study who knew relatively little about nano and were not told anything new in the survey, people of both worldviews were equally likely to be supportive of the technology—about 61 percent of them. But that changed when people of each worldview were given identical, balanced fact sheets that offered equal amounts of detail on both benefits and risks. Their knowledge-bases thusly enriched, people with individualistic worldviews became 25 percent more likely to support the science than they were before. By contrast, communitarians responded to the same information by becoming 38 percent less likely to be supportive than they had been. After reading the same information, that is, two groups of people who once felt the same about the technology suddenly were split, 86 percent to 23 percent—scientific proof, of a sort, that some people really do see the glass as half empty while others see it as half full. In the second study, led by Dietram A. Scheufele of the University of Wisconsin, Madison, researchers compared Americans’ attitudes about whether nanotechnology “is morally acceptable” against measures of their religiosity, and found the two to be inversely correlated. (Surveys have found similar trends for other areas of science, perhaps because of a sense among some religious people that scientists are meddling with aspects of nature that are properly God’s domain.) Then, going further, they surveyed people in several European countries. They found a clear continuum in which people in countries with the lowest levels of religiosity had the highest odds of finding nanotech to be morally acceptable, while those living in countries with high measures of religiosity (the United States being higher than even the highest in Europe, namely Ireland and Italy) had the lowest odds of finding nanotech to be morally acceptable. Those relationships held true even when the researchers applied correction factors to account for differences in the countries’ general alignment with science, as measured by national research productivity and high-school science scores. One way to gain public confidence and acceptance, of course, is to reassure consumers that the government has assessed the science and implemented responsible oversight policies. As I’ve written here and here, and as confirmed last week in a new report from the National Research Council, the feds still have a lot of work to do in this regard. Worldviews and religiosity are not easily changed or overcome. So is the prospect for a positive consensus on nano altogether out of reach? To which I can only say: Really? That sounds awfully close to the line between education and brainwashing, doesn’t it? Come to think of it, compared to being subjected to educational materials engineered by social psychologists that are guaranteed to convince me that everything is okay, I wonder if I might just rather live in an intellectually stunted, religiously suffused, and hopelessly divided country where there is at least a free and full, if largely fruitless, debate still going on. That’s my (very small) worldview. And I’m sticking to it. Rick Weiss is a Senior Fellow at the Center for American Progress and Science Progress. At the time, Michael Crichton had recently come out with his terror novel, Prey, which is about self-organizing nanoparticles running amok and unleashing coordinated attacks against humanity. There was talk about the book being made into a major motion picture. “All I can say is we better get our messaging out about nano before the movie comes out,” an NSF official said to me during a break. “Otherwise the battle is lost.” As it turns out, the movie did not get made. But two new studies published last week suggest that it may not matter much whether the NSF gets around to educating the public about this new technology, at least not in the conventional sense of education. Despite the common conception that a better-educated public is more likely to appreciate and support scientific and technological advances, the new study found that deeply ingrained psychological and cultural factors drive individuals’ acceptance or rejection of new and potentially frightening technologies—much more so than factual information. “Our study reinforces the conclusions of other researchers who have cautioned against assuming that enlightened public opinion will spontaneously emerge from accumulating scientific information on the risks and benefits of nanotechnology,” write Dan M. Kahan, of the Yale Law School, and his colleagues in the December 7 online edition of Nature Nanotechnology. Indeed, the team found, for people whose cultural views leave them disinclined to trust new technologies, the act of getting more information—even very balanced information—can harden rather than soften attitudes of opposition. That finding, along with the conclusions from an accompanying study that finds a strong link between religiosity and rejection of nanotechnology, suggest that proponents of the technology—along with federal regulators—have some serious work to do beyond public education if the field is to break through safely to commercial success. A 20-second refresher: Nano has to do with engineered particles, fibers, and devices between 1 and 100 billionths of a meter in diameter—a scale so small that it involves in some cases the manipulation of individual atoms. Ordinary materials behave in extraordinary ways at that size scale, offering materials scientists a new palette of chemical, electrical, and optical properties to work with, but also posing potential threats because of these substances’ ability to get into the body or contaminate the environment. Many studies have shown that, in general, Americans have vaguely positive feelings about nanotechnology but also that they know very little about it. To see what underpins those feelings and what impact more information might have, Kahan and his colleagues surveyed 1,862 adults. The goal was to see which of two models best described how people come to perceive nano’s risks and benefits: the “familiarity hypothesis,” which posits that the more people know about nano the more they will appreciate and trust it, or the “cultural cognition” hypothesis, which predicts that preexisting worldviews (in particular, whether one is in essence “individualistic” or “communitarian”) will largely determine people’s attitudes toward the science, irrespective of how much they actually know about it. (The individualists tend to be supportive, while communitarians worry about negative impacts on others and on the world.) Among those in the study who knew relatively little about nano and were not told anything new in the survey, people of both worldviews were equally likely to be supportive of the technology—about 61 percent of them. But that changed when people of each worldview were given identical, balanced fact sheets that offered equal amounts of detail on both benefits and risks. Their knowledge-bases thusly enriched, people with individualistic worldviews became 25 percent more likely to support the science than they were before. By contrast, communitarians responded to the same information by becoming 38 percent less likely to be supportive than they had been. After reading the same information, that is, two groups of people who once felt the same about the technology suddenly were split, 86 percent to 23 percent—scientific proof, of a sort, that some people really do see the glass as half empty while others see it as half full. In the second study, led by Dietram A. Scheufele of the University of Wisconsin, Madison, researchers compared Americans’ attitudes about whether nanotechnology “is morally acceptable” against measures of their religiosity, and found the two to be inversely correlated. (Surveys have found similar trends for other areas of science, perhaps because of a sense among some religious people that scientists are meddling with aspects of nature that are properly God’s domain.) Then, going further, they surveyed people in several European countries. They found a clear continuum in which people in countries with the lowest levels of religiosity had the highest odds of finding nanotech to be morally acceptable, while those living in countries with high measures of religiosity (the United States being higher than even the highest in Europe, namely Ireland and Italy) had the lowest odds of finding nanotech to be morally acceptable. Those relationships held true even when the researchers applied correction factors to account for differences in the countries’ general alignment with science, as measured by national research productivity and high-school science scores. One way to gain public confidence and acceptance, of course, is to reassure consumers that the government has assessed the science and implemented responsible oversight policies. As I’ve written here and here, and as confirmed last week in a new report from the National Research Council, the feds still have a lot of work to do in this regard. But if the new studies are right about the importance of pre-existing worldviews and religiosity, then it will take more than government pronouncements to gain widespread public support for nano, which the Commerce Department has hailed as nothing less than “the next industrial revolution.” Worldviews and religiosity are not easily changed or overcome. So is the prospect for a positive consensus on nano altogether out of reach? “Nothing in our study suggests that cultural polarization over nanotechnology is inevitable,” Kahan and his colleagues write. “Social psychology is making important advances in identifying techniques for framing information on controversial policy issues in a manner that makes it possible for people of diverse values to derive the same factual information from it.” To which I can only say: Really? That sounds awfully close to the line between education and brainwashing, doesn’t it? Come to think of it, compared to being subjected to educational materials engineered by social psychologists that are guaranteed to convince me that everything is okay, I wonder if I might just rather live in an intellectually stunted, religiously suffused, and hopelessly divided country where there is at least a free and full, if largely fruitless, debate still going on. That’s my (very small) worldview. And I’m sticking to it. 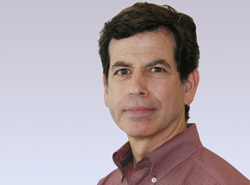 Rick Weiss is a Senior Fellow at the Center for American Progress and Science Progress.